Affordable, accessible and accurate genetic testing for medical professionals and patients with physician consent. Discover a revolutionary approach that simplifies next-generation sequencing. Get the quality reagents needed to develop your laboratory tests. Outsource lab capabilities to accelerate your movement to next-generation sequencing. Drawing upon vast expertise in next generation sequencing and clinical test development, Kailos Genetics delivers reagents, software solutions and reference services that enable you. Develop and implement advanced genetic testing without interruption to your existing lab operations. 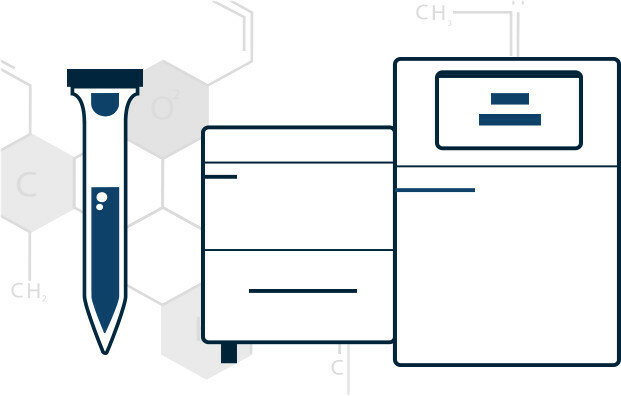 Learn more about Getting Started with Kailos Genetics’ next generation sequencing solutions. Are you a consumer seeking a Kailos genetic test? Add NGS to your lab menu today. Expand your NGS test development. Kailos Genetics is advancing genetic testing through a combination of scientific and technology innovations and leading-edge professional products and services for clinicians and researchers. Backed by a passionate team with vast expertise in precision medicine, Kailos Genetics makes state-of-the-art genetic testing accessible and affordable to consumers. Founded in 2010 and based in Huntsville’s HudsonAlpha Institute for Biotechnology, Kailos Genetics has a diversified business model built upon proven, proprietary testing technology that provides affordable and medically relevant genetic testing. Kailos Genetics’ professional partners – hospitals, physicians, labs and pharmacies – can either purchase the company’s next-generation sequencing (NGS) technology or they can outsource testing directly to Kailos Genetics. Kailos Genetics provides research and medical professionals with a comprehensive range of technology, products and services based upon its complete clinical solution for NGS. These solutions are based upon Kailos Genetics’ proprietary TargetRich™ technology, which enables highly accurate and scalable testing, and the Kailos Blue end-to-end software suite. Kailos Genetics also provides products for research use and reference lab services. Kailos Genetics believes that everyone should have quick, ethical and affordable access to the information contained in their genes. The Kailos test requires no needles or waiting rooms and delivers easy-to-read health reports that provide useful information to consumers and their physicians. Kailos Genetics gives everyone the power to make decisions about their health with more confidence and insight. Learn more.